Songs of Eretz Poetry Review is pleased to present “Empty Cradles” by Rie Sheridan Rose. Ms. Rose’s poems have appeared in Penumbra, The Voices Project, and Wolf Willow Magazine, as well as in several anthologies and chapbooks. Poet’s Notes: I wrote this poem in 2007, soon after the birth of my youngest niece. I had always wanted children, and in 1997, I found out it was biologically impossible. It has made me cherish the children in my life even more--even if they aren't mine. Editor’s Note: Ms. Rose captures the sadness of the childless with poignancy and respect. I am sure that her poem will resonate with many. 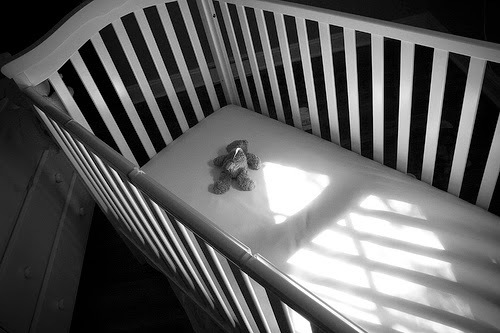 “Empty Cradles” first appeared on the Writers Cafe website.